Blackjack is the king of online casino card games, so it’s hardly surprising that it’s also making its mark on the mobile casino market. 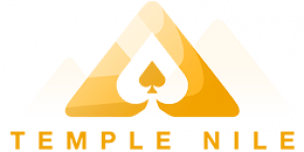 Whether you’re looking to play standard 6-deck European Blackjack, Double Exposure or Buster Blackjack, TopRatedCasinos.co.uk has the perfect casino for you. But what makes mobile blackjack so appealing? Will you have access to live dealer games? We’ve got all the answers. 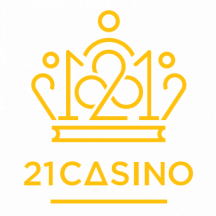 If you can’t wait to hit 21, take a look through our list of the UK’s top mobile blackjack casinos and select your favourite. Then sign up, grab yourself a bonus, and start playing mobile blackjack today! Whether it’s a few games during your lunch hour or a quick blitz before you go to bed, playing blackjack on your mobile is a great way to enjoy this classic casino game. For starters, you’ll need to find the best casino for you. We’ve scoured the market and singled-out the top UK casinos offering you the chance to play real money mobile blackjack. Simply browse through our list of the top UK licensed operators and pick out your favourite. Now that you’ve chosen your preferred casino, you’re ready to sign up. Follow our link to head straight to your casino of choice. The next step is to create an account, which you can do via either the mobile app or web-based mobile platform. You’ll need to provide some personal details and contact information, but the sign up process should only take a couple of minutes. Once you’ve set up an account, head to the cashier to make your first deposit. Many of our recommended top and newest casinos offer the option to pay with credit cards, debit cards, e-wallets— such as PayPal, Neteller and Skrill— and prepaid cards, so finding a suitable payment option shouldn’t be a problem. At this stage you’ll also be asked whether or not you wish to claim the welcome bonus. Whilst this free casino cash can be a great bankroll boost, you’re free to opt out if you wish. Reading up on the terms and conditions, such as wagering requirements, will help you decide whether a bonus is right for you. Our top-rated UK casinos offer a range of blackjack variations, which can be overwhelming for new players. Rules, payouts and the number of decks used can vary from game to game, so it’s worth experimenting with free demos to find the perfect blackjack game for you. This is an ideal opportunity for beginners to learn the ropes before diving into real money action. Ready to move onto real money mobile blackjack? All you need to do is flip the switch to ‘play for real money’. If you’re playing with bonus cash, make sure to read up on any game restrictions as well as bet sizes. Playing without a bonus? Choose any game that takes your fancy and set your stakes as you wish. Why play blackjack on your mobile? Whether you’re a total beginner looking to get your first taste of playing real money blackjack, or a seasoned desktop player interested in making the move to mobile, let’s take a look at the main advantages of mobile blackjack to see if it’s right for you. There’s nothing more convenient than having an online casino in your pocket. Within a few taps, your mobile blackjack table is there in the palm of your hand. Regardless of time and location, as long as you’ve got an internet connection, you can play. This convenience gives you complete control of your playing schedule, and is one of the main reasons so many players are switching to mobile blackjack. Playing your favourite blackjack games on your mobile means you’ll never miss out on time-sensitive giveaways and promotions, such as weekend cashback bonuses. Simply take out your mobile phone and open the app to claim these bonuses wherever you are. 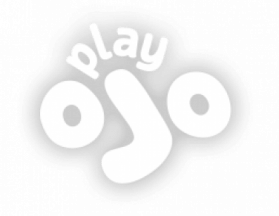 It’s no secret that online casinos see mobile as the future of gaming, and a number of operators are encouraging customers to make the switch by offering bonuses and promotions exclusive to mobile players. While some of these offers may require players to download and play through the mobile app, this isn’t always the case, and you’ll often be able to claim a bonus through a web app as well. Ready to play real money mobile blackjack? Now that you know the advantages of playing blackjack on your mobile, you’ll probably want to try it out for yourself. Before you get started, take a look at our list of the best UK online casinos offering mobile blackjack to players.  Simply compare mobile casinos to find your favourite, and check out our expert reviews for more information. Once you’re happy, sign up and claim your bonus to start playing. Can I play free blackjack on my mobile? 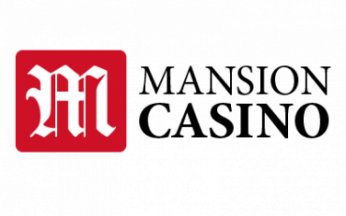 Yes, most of our featured casinos offer players the opportunity to experiment with free or demo versions of their blackjack games before they wager real money. Free blackjack games are great if you’re a complete beginner, if you want to try out a new variation, or if you just want to play for fun. Can I access the same blackjack games on my mobile? For sure. Our featured casinos offer the same blackjack variations to all players, desktop and mobile alike, including live dealer games. In fact, no matter which online casino game you want to play, from IGT slots to NetEnt roulette and Microgaming baccarat, all your favourite titles and variations will be available across devices. Can I pay mobile blackjack using mobile data? Of course. If you have an internet connection, you can play mobile blackjack. Depending on your signal strength, Wi-Fi might provide a more stable connection, which can make for a smoother gaming experience. You might also consider that live casino video streaming will require much more data than virtual blackjack. Can I still play on other devices even if I joined via my mobile? Definitely. Your account login details will be valid no matter which device you play on. Simply enter your username and password to play on a new device or at the desktop casino site. What happens if I lose my internet connection while playing mobile blackjack? While many casinos recognise that internet connections can be subject to interference and take steps to ensure that players won’t lose a bet if they lose connection, different operators do have different policies. For this reason, it’s worth checking the terms and conditions of each casino. Some sites, for example, allow players to return to the moment of the game at which disconnection occurred in blackjack, video poker or craps, but the game will continue for slots and roulette players, who will need to check the game history section to see the outcome of their game.